Payment confirmations and confidential notices will be directed to the e-mail you have provided during your subscription registration process. Your credit card information is never recorded on our Website. The payment is made through the screens which is sent you by Swiss Post AG and which are only visible by you, using high security SSL technology and the necessary certificate. During this process, FashionFlamenco is only notified of whether or not the payment has been received. This is our preferential system. Your credit card payments are processed through SSL protected security software. Only you and the Aduno Payment Services via Swiss Post AG will be in contact during the payment process. Your credit card information will never be recorded by us. It is strongly recommended that you, after performing the transfer operation in the bank or through web banking, send us the swift copy of your sale by e-mail in order for us to easily check whether or not your funds have cleared in our account. Extra fees to be collected by the bank such as transfer and/or EFT fees, etc. are not included in the total sales price of the product and will be borne by the BUYER. You can make secure online payments with a PAYPAL account to be created with your credit card. 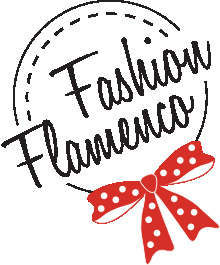 When you click to the "PAY NOW" button under My Account Pages, My Orders Link on www.fashionflamenco.com, you can easly redirect to the FashionFlamenco's PayPal Account, then enter the email address associated with your PayPal account. If you want to Send money directly on www.paypal.com you should use info [at] fashionflamenco.com for seller's e-mail, then enter the email address associated with your PayPal account. If you do not have a PayPal account, please contact PayPal directly for assistance.